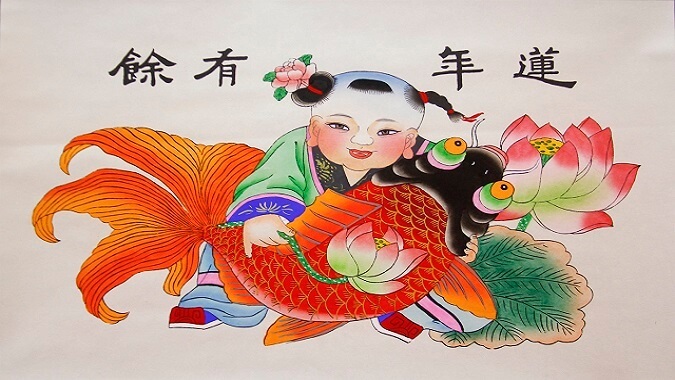 As a traditional folk custom culture, Pizhou traditional new year painting was originated from the folk painting and carving picture development in Pizhou area, got prosperous in the Tang Dynasty, became mature in the Song Dynasty, experienced rapid development in the Ming and Qing Dynasties, reached the peak in the middle and late Qing Dynasty, forming a particular traditional painting art, and has played a significant role in China’s art history and folk custom history owing to its long standing and passing on from generation to generation. 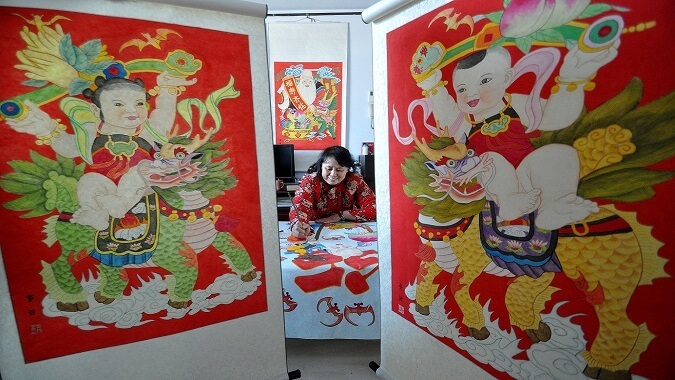 In the Ming and Qing Dynasties, Pizhou traditional new year painting had entered thousands of households in Pizhou in which dozens of new year painting workshops of their own characteristics had been opened in line; with the opening in Pizhou of Beijing-Hangzhou Grand Canal, the ancient towns along the canal set up shops to make, whole-sell new year painting,and nationwide merchants gathered in Jiangsu, Shandong, Henan and Anhui etc., furthermore promoting the development of Pizhou traditional new year painting. 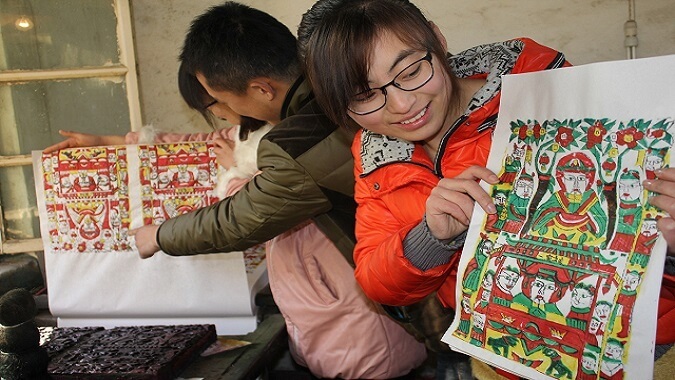 There are diversified painting manners and techniques for Pizhou traditional new year painting: hand painting, half printing and half painting, woodblock hand printing, machine printing and carving color painting etc. The carriers for the materials include paper, board, wall, furniture and utensils etc. 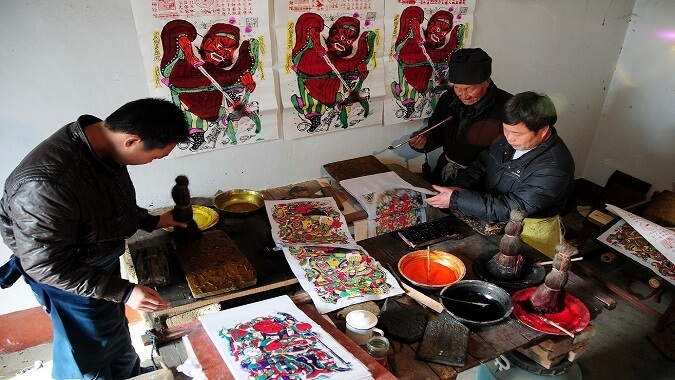 By absorbing essences of traditional woodblock painting, Pizhou traditional new year painting has been innovated and upgraded nonstop. The composition of picture is daring, concise and exaggerated. The colors are brilliant and dazzling in strong contrast in multiple styles without any fixed mode. It has very strong agrestic atmosphere and very strong sense of the times.